ab28499 recognises Peroxisomal membrane protein 70 (PMP70). Our Abpromise guarantee covers the use of ab28499 in the following tested applications. WB 1/500. Predicted molecular weight: 74 kDa. Probable transporter. The nucleotide-binding fold acts as an ATP-binding subunit with ATPase activity. Belongs to the ABC transporter superfamily. ABCD family. Peroxisomal fatty acyl CoA transporter (TC 3.A.1.203) subfamily. 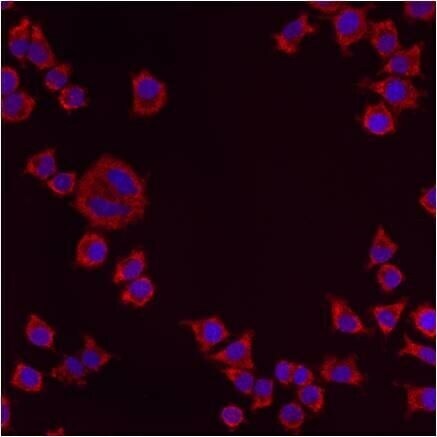 Immunofluorescent analysis of PMP70 staining in A459 cells with ab28499. 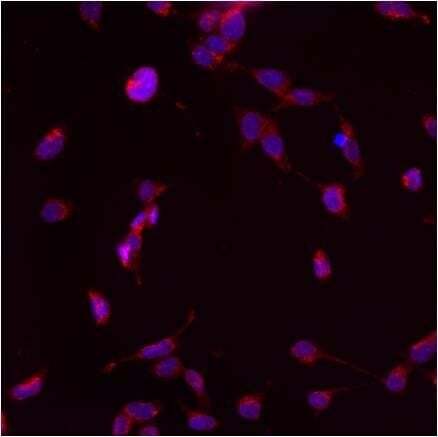 Immunofluorescent analysis of PMP70 staining in NS-1 cells with ab28499. Immunofluorescent analysis of PMP70 staining in HMVEC cells with ab28499. 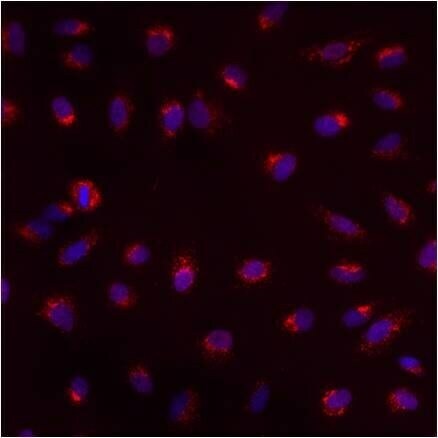 Immunofluorescent analysis of PMP70 staining in p19 cells with ab28499. 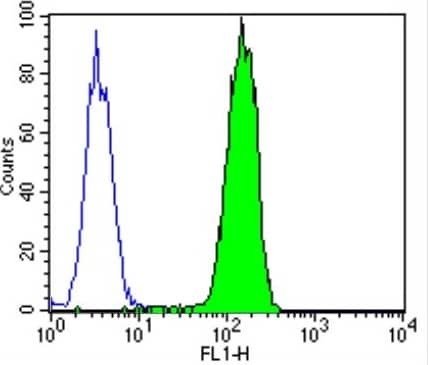 Flow cytometry analysis of PMP70 in HepG2 cells (green) compared to an isotype control (blue). Cells were harvested, adjusted to a concentration of 1-5x106 cells/mL, fixed with 2% paraformaldehyde and washed with PBS. Cells were blocked with a 2% solution of BSA-PBS for 30 min at room temperature and incubated with ab28499 at a dilution of 0.5 μg/test for 60 min at room temperature. 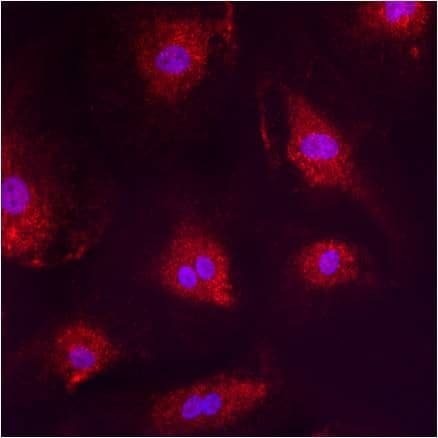 Cells were then incubated for 40 min at room temperature in the dark using a Dylight® 488-conjugated goat anti-mouse IgG (H+L) secondary antibody and re-suspended in PBS for FACS analysis. 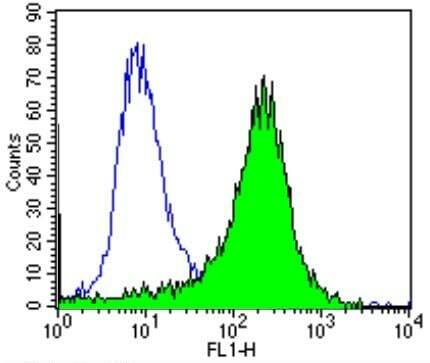 Flow cytometry analysis of PMP70 in 293T cells (green) compared to an isotype control (blue). Cells were harvested, adjusted to a concentration of 1-5x106 cells/mL, fixed with 2% paraformaldehyde and washed with PBS. Cells were blocked with a 2% solution of BSA-PBS for 30 min at room temperature and incubated with ab28499 at a dilution of 0.5 ug/test for 60 min at room temperature. 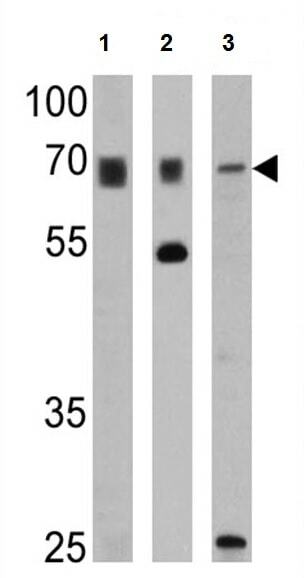 Cells were then incubated for 40 min at room temperature in the dark using a Dylight® 488-conjugated goat anti-mouse IgG (H+L) secondary antibody and re-suspended in PBS for FACS analysis. Publishing research using ab28499? Please let us know so that we can cite the reference in this datasheet. There are currently no Customer reviews or Questions for ab28499.